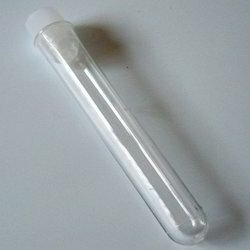 Being a leading firm in this industry, we are deeply engaged in offering a high-quality range of Polystyrene Test Tube. We have emerged as one of the foremost manufacturers and suppliers of a varied collection of Test Tube, 12x75mm, Polypropylene, 5ml. This tube is widely used in research laboratories in determining composition of chemicals and others. Moreover, the tube is fabricated using best grade of factor inputs and is acclaimed by our clients for its robust construction and durability. Keeping the diverse requirements of customers in mind, we are instrumental in offering superb quality assortment of Polystyrene Test Tube. As per the distinguished and changing requirements of our customers, we have come up with a huge collection of Polystyrene Round Bottom Test Tube. 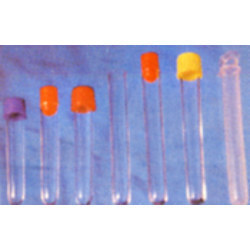 MB Lab Consumables RIA Vials are polystyrene / polypropylene test tubes used in Radio Immuno Assay technique. The Polystyrene (PS) Ria Vials can withstand 1500RCF while the Polypropylene(PP) Ria Vials can withstand about 3000RCF. MB Lab Consumables Ria vials are made of high quality polymers for excellent transparancy and physical properties. MB Lab Consumables RIA Vials are polystyrene / polypropylene test tubes used in Radio Immuno Assay technique. The Polystyrene (PS) Ria Vials can withstand 1500RCF while the Polypropylene(PP) Ria Vials can withstand about 3000RCF.MB Lab Consumables Ria vials are made of high quality polymers for excellent transparancy and physical properties.